If every day is Christmas in the whole world, there will be no fighting/conflicts. If every day is Christmas in the hearts of men, the world would be in peace) ♪ ♫ ♬. Many Filipinos are familiar with this line from the song Araw Araw Ay Pasko (Everyday is Christmas) sung by the famous noontime show host Willie Revillame. This song is somewhat reminiscent of a bittersweet event in human history; The Christmas Day Truce of 1914. On Christmas Eve 1914, something unexpected happened between British and German soldiers that are fighting the Great War or the First World War. 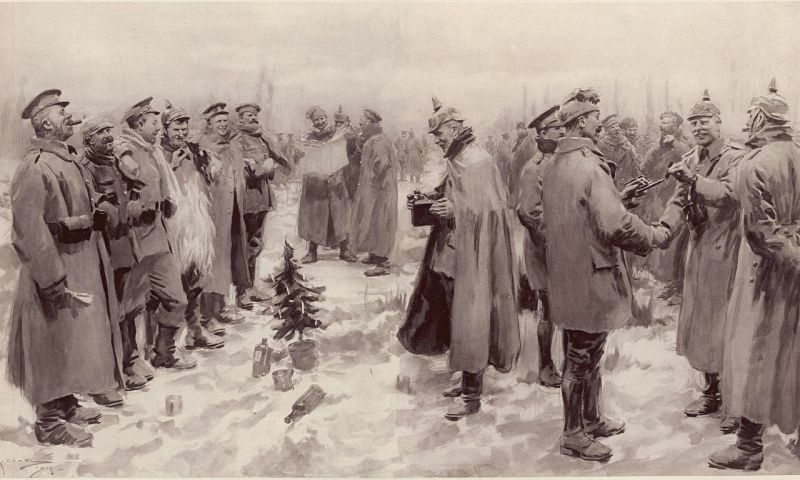 The event remembered as the Christmas Day Truce captured the hearts of millions after reading the historical accounts regarding the truce. After months of fighting, soldiers from both sides left their trenches and greeted their sworn enemies. After the exchange of greetings, they even played a game of soccer at daylight out of the trenches, sang songs and exchanged drinks, cigars, and food in the night. "There is no doubt that a truce of sorts took place in multiple points along the line of trenches forming in France and Belgium. "These men did shake hands and exchange gifts and wished each other a Merry Christmas. Unfortunately, the truce did not last long. It was broken later on when German snipers killed two British soldiers during the truce. Wars throughout history are remembered as drenched in blood, catastrophic and tragic. Many souls are left in solitude after losing someone or something dear to them. Indeed, wars are inevitable but if all men would question the necessity for war, peace will be achieved. Written by Joen R. Orde, Lucis Philippines contributor.